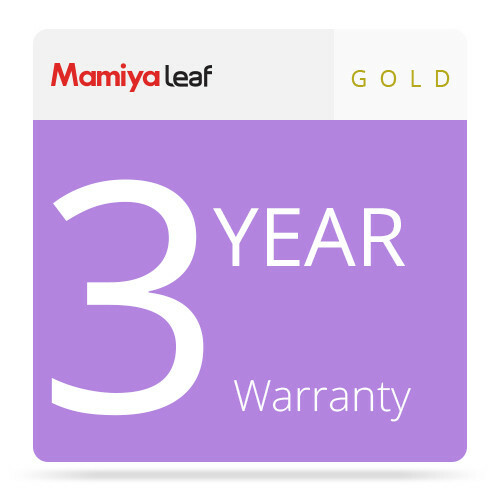 Enhancing the protection and coverage to a Mamiya Leaf Credo digital back, this Gold Package Warranty is a three-year extended warranty for the back, along with other assets to benefit working with your back. During the three-year warranty period, this Gold Package entitles you to one interface exchange in the event you change camera systems. A full license to Capture One Pro is also included, for efficient tethering and post-processing; a dual battery charger is provided for more efficient charging; and a Mamiya Leaf camera suitcase is included as well to protect your entire camera kit. This Gold Package Warranty must be purchased together with the digital back.